LGFA Gaelic4Girls Programme Relaunch ! 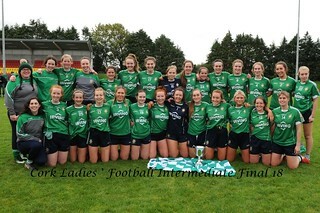 What is Gaelic4Girls (G4G)? G4G is a 12 week programme incorporating coaching sessions with fun non-competitive blitzes aimed at increasing participation in Ladies Gaelic Football. The programme targets girls aged between 9-13 years who are not currently registered with a Ladies Gaelic Football club. In essence, this is a tool to attract new players. What are the aims of the Gaelic4Girls Programme? To provide a fun, 12 week programme of Ladies Gaelic Football activities to attract girls aged 9-13 to the club. There is the potential for your club to become a more vibrant, active part of the local community through enhanced participation. A Struggling Club – an already registered LGFA Club who are struggling for numbers and can show evidence that those numbers are in the Club Catchment Area. 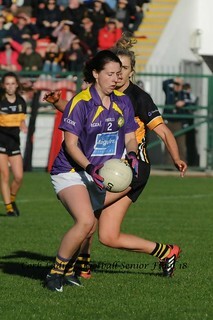 New club - potential for a new LGFA club to form. Clear evidence must be provided to show that potential for a new club exists and appropriate structures are in place. Step 1: Complete the application form and forward by post or email to your Provincial Development Officer before February 15th (See application form for contact details). CLICK HERE for Application Form Step 2: The County Development Officer, following consultation with the Provincial Development Officer will contact all applicants via e-mail to announce the successful clubs before February 22nd. Step 3: All G4G coaches and coordinators must attend Provincial training in March. Dates are to be confirmed. Step 4: All clubs must promote the G4G programme in their local area. Step 5 The 8 week programme will begin in early April. A local Mini Blitz may be available upon completion of this (numbers dependent). The 4 week integrated sessions will follow straight after. Step 6: The clubs will have an opportunity to participate in a Provincial Blitz (dates to be confirmed).